Home » General Health » The Statin Controversy Continues…for Good Reason! You’ve likely heard about the importance of cholesterol and how you should get your cholesterol levels checked every year as part of your annual checkup. 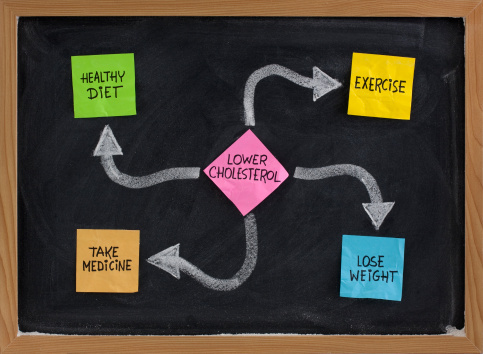 Blood cholesterol has been used as an indicator of health risk now for a number of decades. Ever since the link between LDL cholesterol and coronary artery disease was made, the role of cholesterol in the diet has also been highly publicized. Remember the egg controversy? The prevailing wisdom was that you shouldn’t eat eggs because they contain cholesterol. The thought was that you should also avoid all foods high in cholesterol or saturated fat, which raises cholesterol levels. In the meantime, scientists working for major drug companies really understood the secret to all of this. They found that most of the cholesterol measured in the blood was actually made in the liver and not directly associated to food intake. They found an enzyme inside the liver that was necessary in the process of making LDL cholesterol and developed a drug to block this enzyme. They called this drug a statin drug, of which there are now several being used by millions of Americans to lower cholesterol. But hold on now…is this really necessary? Well, the research clearly indicated that avoiding foods containing cholesterol or saturated fat in general did not directly affect the rates of coronary artery disease after all. The science also told us that 70%–80% of adults admitted to hospital emergency wards with acute cardiac symptoms in the U.S. had normal blood cholesterol. Yet the hysteria regarding cholesterol continued to build and the drug companies were very much behind this, as were some of the governmental organizations that recommend public health policy. Sure, it was discovered that taking a statin drug like “Lipitor” or “Crestor” could help you avoid a heart attack if you already have heart disease or are at high risk of experiencing one…but is this how the drugs are prescribed or marketed? Lipitor became the best-selling drug in U.S. history by 2003, with annual sales estimated at $12.4 billion per year by 2008. How many people over the age of 55 are taking these drugs needlessly and suffering side effects, like muscle and joint pains or heart arrhythmias? It’s depressing, to say the least, that these patients are being needlessly medicated when all they really need to do is change their lifestyle, exercise regularly, and take a few, cheap nutritional supplements. All in the face of drug marketing, physician influence, and the general lack of research knowledge being applied to patient care. This is especially troubling when you think that the data set drug companies are using was performed on mostly younger men who had high cholesterol levels already. Does this data set apply to older folks whose cholesterol levels are within normal limits, but who may have a few other risk factors for heart disease? The issue here is that the research does not support the use of statins in people for the primary prevention of heart attack…period! In the primary prevention of death from heart attack, statins provide no benefit in 99.3% of the patients treated. Incidentally, the research has indicated that lifestyle intervention is better than drugs for the primary prevention of heart disease. However, no data exists between the use of a statin drug and lifestyle intervention for the primary prevention of heart disease. Maybe it’s time to settle this right now! No drug company wants this trial to be funded. Statins lower blood levels of LDL cholesterol significantly, but this fact has not translated into clinical benefits for most people. This is what happens when you pin all hope on improving human health by influencing the results of one blood test. Mandrola, J., “Growing Doubt on Statin Drugs: The Problem of Drug-Lifestyle Interaction,” Medscape web site, July 2, 2014; www.medscape.com/viewarticle/827675. Zhang, H., et al., “Discontinuation of Statins in Routine Care Settings: A Cohort Study,” Ann Intern Med. 2013; 158(7): 526–534.